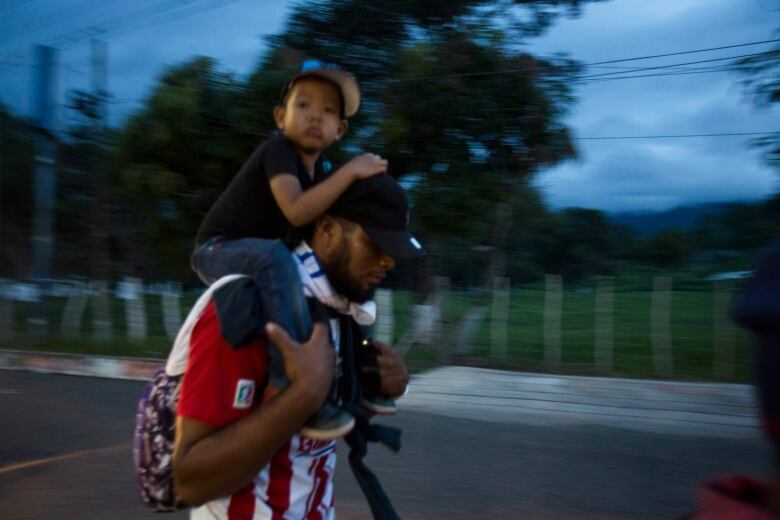 Up to 3,000 migrants, according to organizers' estimates, crossed from Honduras into Guatemala on a trek northward after a standoff on Monday with police in riot gear. The Honduran Foreign Ministry called on its citizens not to join the group. The government "urges the Hondurans taking part in this irregular mobilization not to be used by a movement that is clearly political," it said. 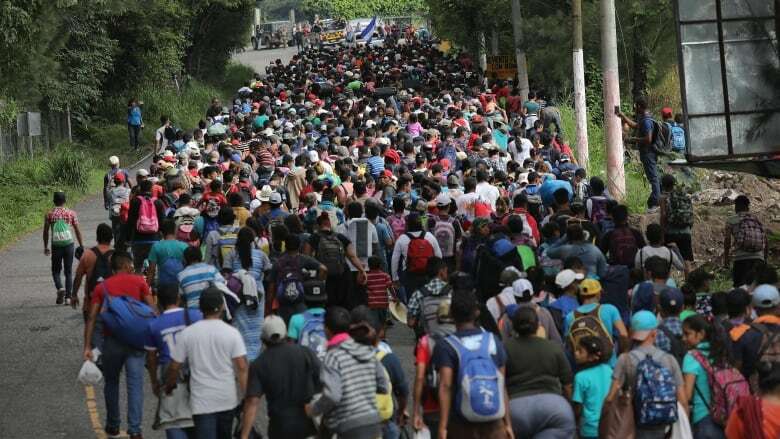 The Honduran security ministry said Fuentes had been detained because he "did not comply with Guatemalan immigration rules" and would be deported back to Honduras in the coming hours. "We can't attend to people en masse. People are going through one by one," police spokesperson Alex Madrid said in a radio interview. Guatemala's government said it did not have official figures for how many migrants from the caravan had already crossed the border. Adult citizens of Guatemala, Honduras, El Salvador and Nicaragua need only present national identity cards to cross each others' borders. That rule does not apply when they reach Mexico. 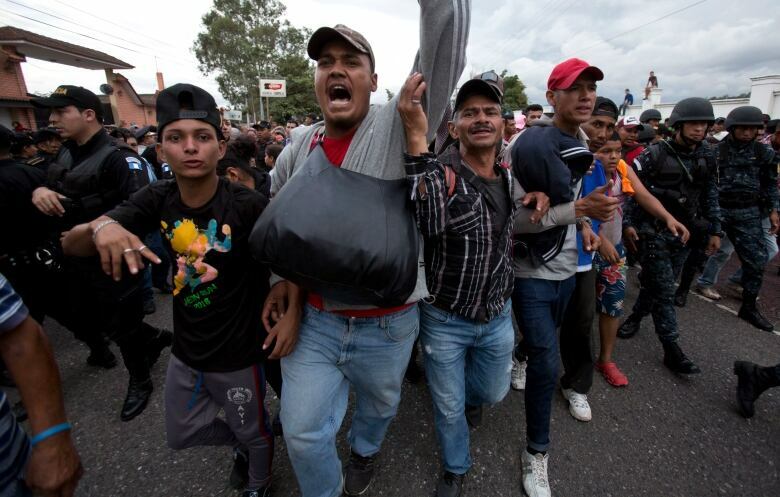 "The United States has strongly informed the President of Honduras that if the large Caravan of people heading to the U.S. is not stopped and brought back to Honduras, no more money or aid will be given to Honduras, effective immediately!" Trump wrote. U.S. Vice-President Mike Pence drove home the point, saying he spoke to Hernandez and Guatemalan President Jimmy Morales and warned them to help protect U.S. borders, adding "no more aid if it's not stopped!" Hernandez said last month cuts in U.S. support for Central America would only hinder the country's ability to stem illegal immigration. He welcomed China's growing diplomatic presence in the region as an "opportunity." "What Trump says doesn't interest us," organizer Fuentes said in an interview shortly before his arrest. "These people are fleeing. These people are not tourists." Trump ran for president in 2016 on promises to toughen U.S. immigration policies and build a wall along the 3,220-km border with Mexico.